Bike and boogie is the theme for Reggae Riding 2008. From kids’ races, clinics and activities to serious Pro racing with a 100% Pro payback purse, racers and spectators alike can groove to the beat of Reggae all day long in the spectacular natural setting of the Southern Humboldt Community Park in Garberville, CA. 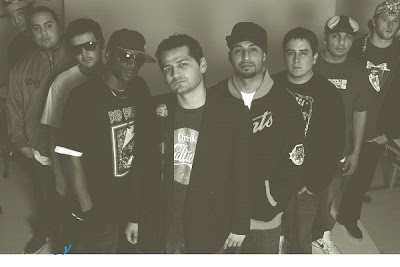 The Bayonics, a funkalicious fusion of Hip-Hop, Salsa and Reggae rev up the party vibe at 8:30 PM. Live music starts at 2:00 with The NPK, Woven Root, and Rootstock. DJ’s Paradigm, Sun Dub and The Rocker spin starting at Noon. BBQ, snacks and drinks are for sale from Noon on. A beer garden will feature local Lost Coast Brews. Free fun contests start at 5:00. The underground craze Pixie Cross race at 8:30 encourages costumes and cross-dressing. Registration opens at 11 AM and closes at 15 minutes before each scheduled race. Clinics for all ages and skill levels start at Noon; races at 1:00. Kids’ race occurs on a special, short and mostly flat meadow course. All kids must wear helmets and have a parent present to register and fill out a waiver. All 12 and under participants can race for a donation of any amount and will receive a prize. The Cross Country racecourse features 3 miles of mostly flat and twisty 70% single track in and out of woods and up and down a creek bed with lots of lines for passing and one 100-foot climb. It’s a great course for beginners and affords a fast circuit like race for advanced riders with great spectating opportunities. Pro Sport of Eureka will provide free tune-ups for racers. Sell or trade your old bike gear at the all day Bike Swap. Volunteers are still needed to produce this family event. To volunteer or for more information call 923-2100. Check out reggaeriding.blogspot.com.